Welcome to Harbourside Presbyterian Church! 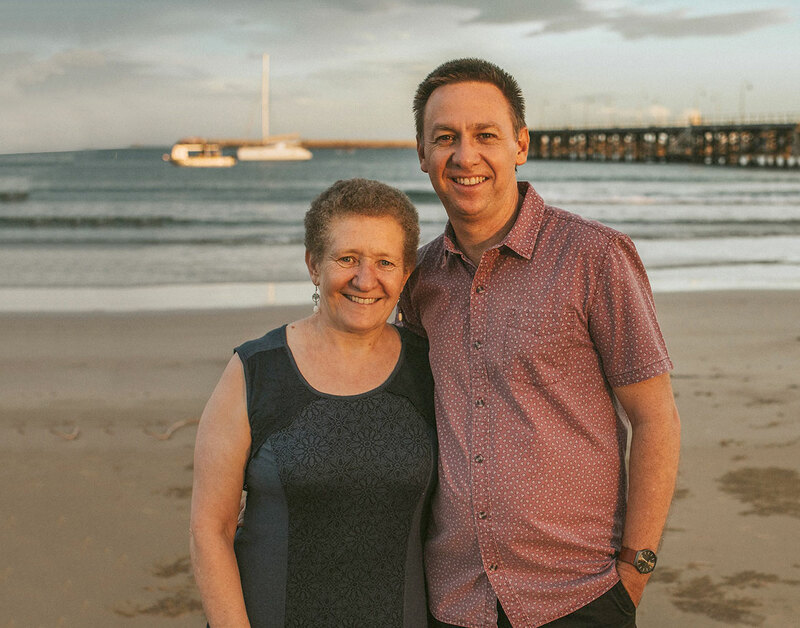 We are a community of ordinary people who meet together to encourage one another as we seek to live for Jesus in our lives… and we’d love to have you join us, 187 Harbour Drive, Coffs Harbour. ”Coffs Harbour is a beautiful place to live. With its coastal lifestyle and being located between magnificent beaches and stunning rainforests, it’s no wonder it was once voted one of the world’s most liveable cities! However, life is about more than just these things. Jesus said that he came that we might have life…and have it to the full. At its very heart life is all about Jesus. Jesus came into this world and lived and died and rose again that we might know God’s love and forgiveness and the new life that he offers each one of us. 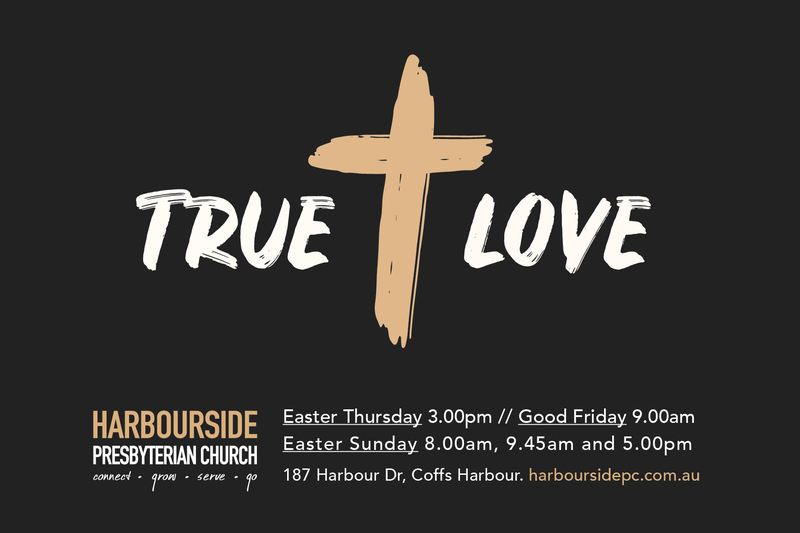 Here at Harbourside our passion is to see people come to know God through faith in the Lord Jesus. Our desire is to grow as followers of Jesus as we seek to reach our city and reach the world with the good news of what Jesus has done. We gather on Sundays at 8am, 9.45am and 5pm. Each of our services share several things in common. At the centre is God’s Word as it is read and taught in a vibrant and easy to understand way. All services are also marked by prayer, singing and sharing our lives with each other. We’d love to have you join us at any of our Sunday services. This service follows a more traditional format. It is mainly aimed at meeting the needs of the more senior members of our community. In this service the music is hymns from the Rejoice hymn book. This is a friendly, welcoming and engaging service with contemporary music. This service is made up of young and old alike. Our Kids Connection program for children aged 4-12 years runs during this service. A creche and a cry room are also available. As with all our services the preaching seeks to be clear, relevant, Bible-based and Christ-focused. Our 5pm service is a relaxed but vibrant afternoon celebration of Jesus’ death for us. We cater for all ages including easy to digest teaching, creche and Kid’s Connect at 5 program. You’re welcome to join us regardless of your age or background – we’d love to meet you! At the very heart of our church community are our Growth Groups, learn more. Women’s CHAT, Growth Groups, Coffee Mornings, Kids Playgroups & PWA. Men and meat is for all ages where we enjoy food for the stomach & soul. Ignition is a community of young people learning who Jesus is and how he changes lives for the better. Creative storytelling, crafts and games, we teach kids about God’s never-ending love and mighty plan. Our ESL program focuses on loving those in our community who need help with their spoken English. At Habourside Presbyterian Church we are a Bible-based vibrant and growing community with a great passion to bring people to know and love Jesus. We focus on his death and resurrection which brings us forgiveness and eternal life. Our church motto CONNECT GROW SERVE GO sums up how we’re seeking to go about that as a church together. We have a passion to see people connect to God through faith in Jesus, to connect with each other and to connect with our community. A great way to do this is to join us at one of our Sunday services. Our desire is see people grow in their relationship with God which will bear fruit in Godly maturity. We grow as we open God’s Word together and as God works in us by his Spirit. We long to see people show God’s love to one another in practical ways in our church, community and world. Our heart is to see the good news about Jesus have an impact on our lives and the lives of the world around us. As his disciples Jesus calls us to go out into all the world and tell people about him. We believe that salvation from the penalty of sin is found only through the substitutionary atoning death of the Lord Jesus Christ. It is by his one true sacrifice that we can have forgiveness of sin & receive the gift of eternal life. We meet on Sundays at 187 Harbour Drive, Coffs Harbour. You can call us on 6652 3183.